People sometimes make a joke ‘Korean people believe Kimchi can cure cancer’. 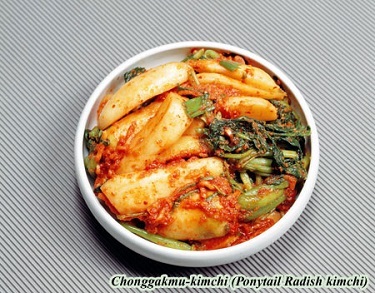 Pickled vegetable never seems to be able to do that, nevertheless it’s not a joke anymore for Kimchi! Yes, Kimchi can cure cancer for real. US journal <Health> chose 5 universal healthy food in 2006. Bean in Japan, olive in Spain, yogurt in Greece, lentil(bean) in India, and Kimchi in Korea, there you go. 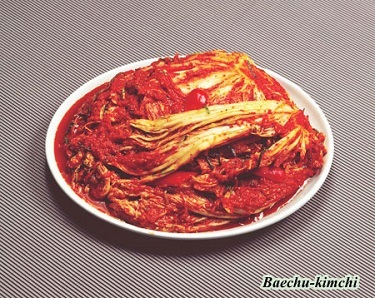 Kimchi is effective on lots of health factors, such as losing weight, preventing virus coming into body, digestion, etc. Cancer? It’s science, it really suppress the rate of obesity, aging, and even cancer happening. In this tour, you will try Korean traditional clothes, Hanbok, and learn how to have some tea with its own courtesy. It might seem a bit complicated, but it’s not! After that, get a chance to learn how to make Kimchi, and bring it back home with you. You and your friends, family could enjoy Kimchi, and Korea. The Jug-gal which is made of animal ingredients= often fishes which were prepared by merinating it in salt, and it provides Amino acids and thus it helps us to obsorb protains which is not enough with boilled rice alone. And while Kimch gets more merinated, the protains which are in? .the? shrimps ( or proons) jut-gal, Anchovies jut-gal, or Hwang suk uh jut-gal would disolve into the Amino acids andbecome the sources to supply to human body. In the vegetables, there are plenty of inorganic? compounds like calcium, copper, phosphorus, iron, salt, etc. and addition to Vitamin C, it also helps people to obsorbe Vitamin B which is necessary for the people who are using boilled rice as their main food. In kimchi, Jut-gal group (made by merrinating sea food in salt) is widely used and by providing the Amino acids and helps to maintain the ballence of protains. Kimchi is being made through the various microbial complex proceedures?stage of first, the ingredients would penetrate into the cells of vegetables and then get merrinated? or fermented by the? microbial activities and procuces all kind of acids to provide specific taste and aroma of Kimch. Kimchi is low callorry food? of which vegetables are used as it’s main ingredient and it contains a lot of diet fiber and helps to activate the movements of intestings and by reducing sugar and collestrols in the body it will help to prevent to get? adult deases? such as diabetese, heart related deases and fat, etc. Kimchi is merinated? health food which is naturally merrinated green and yellow vegetables and addition to the Vitamin A, B, C, it also provides all kind of nutritions which is contained in it’s subsidiary ingredients and it helps to activate our? phisiological functions. Merrinated Kimchi is the organic merrinated food that produces organic acids, alchol and esthelene and thus it increases the desire to eat. Kimchi types of food will cleans your intestings by the complex activities of vegetable juces and salt. It also activate to produce the Pectin which is the ingredents to digest protain in the intestings. It helps to digest, obsorb the nutritions and maintain the distributions of microscopic organism in the intestings.